Other Products by Body Ripped. Search other Thermogenics products. Body Ripped Thermogen Electric provides a synergistic blend of natural ingredients to assist fat loss and weight management in a liquid preparation for increased absorption and effectiveness. 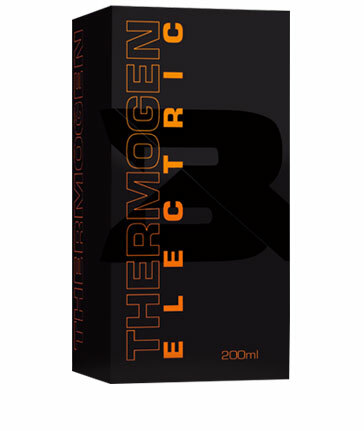 Body Ripped Thermogen Electric provides herbal extracts including Citrus Aurantium providing Synephrine which stimulates the release of fatty acids from the body's fat stores into the bloodstream by increasing Cyclic Adenosine Monophosphate (cAMP) and also stimulates the release of adrenaline to boost energy levels. Caffeine containing Guarana assists the fat burning process by suppressing the release of a hormone that prevents fat release thereby making Citrus Aurantium more effective. Quercetin maximises the effect of Body Ripped Thermogen Electric by slowing the metabolism of caffeine. Green Tea is a powerful antioxidant and may inhibit the absorption of some dietary fats while both White Willow and Passion Flower work synergistically with Synephrine providing a potent thermogenic product. Mix 5ml in 100ml of water. Suggested use - take 1 serve daily before exercise. INGREDIENTS: Water, Fructose, Guarana, Citrus Aurantium, White Willow Bark, Flavour, Citric Acid, Quercetin, Green Tea, Passion Flower.